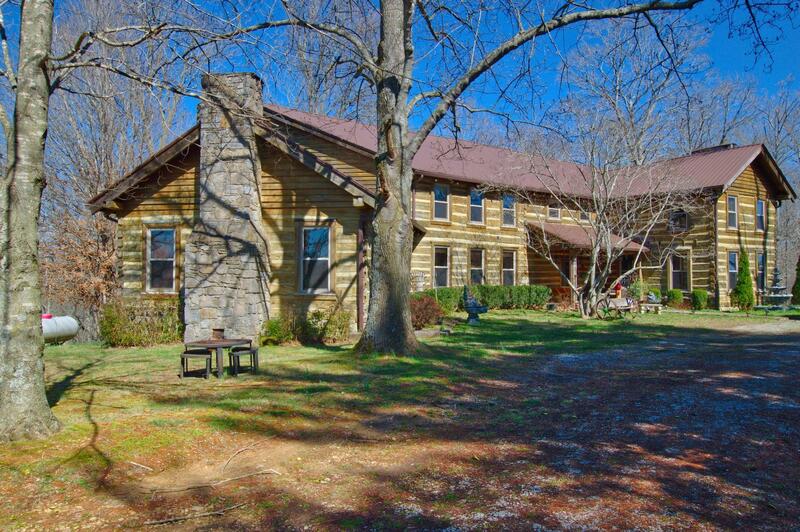 Spacious log home consisting of over 4,800 sq. liv. ft. w/ full partially finished basement & 5 acres of land. 24x24 Barn w/ concrete floor. Over 400 ft. of river frontage on the Barren Fork River. Endless business possibilities including bed & breakfast with kayaking & hiking trails. Additional acreage available up to 63 acres.